The latest reports we’re hearing is that Barcelona will come back in for Coutinho in January with an offer of around £130m. Paul Joyce in the Times mentioned that figure today, after reporting that Luis Suarez is desperate for his former team-mate to join him at Camp Nou. In the summer, they offered a similar amount, but it turned out to actually be £80m with around £50m of increasingly ridiculous potential add-ons. For us to do business, it would surely have to be £130m as a flat figure, or close. Previously at EOTK, we’ve been utterly insistent that we shouldn’t sell Coutinho at any price. Especially not to Barcelona, which would be giving in to their bully tactics. But the truth is that with Sadio Mane, Mo Salah, Roberto Firmino, Adam Lallana and an ever improving Alex Oxlade-Chamberlain – we have plenty of talent in attack already. 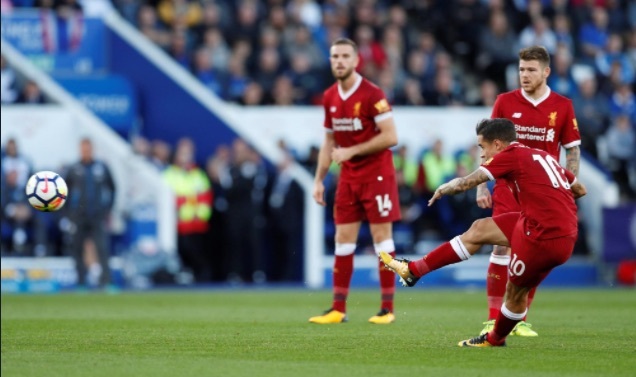 If we could use the Coutinho money to buy a creative midfielder of a similarly exciting ilk – perhaps Thomas Lemar or Julian Draxler – it could be sensible.